Experienced Kirkland Law Firm for Bankruptcy, Estate Planning, Business formations and more! Since I was raised on the East side, Kirkland has always had a special place in my heart. My best memories from my childhood include the beaches and the restaurants and all the fun Kirkland has to offer. Kirkland is a vibrant city with an unparalleled blend of outdoor recreation, art, dining and beaches. Located on the shores of Lake Washington just east of Seattle, and a short 7 minute drive from our office. Over the years of my practice, I have had many clients from Kirkland, WA. I always enjoy connecting and chatting about the beautiful city and its perks with my clients. I have represented corporations and businesses, assisted individuals in opening businesses and making their mark in Kirkland, WA. As a Kirkland bankruptcy attorney I have also assisted individuals and corporations file for bankruptcy in Kirkland, WA. As a Kirkland Estate planning attorney I have assisted individuals set up trusts and draft their wills and powers of attorney to protect themselves and loved ones in case of their absence. At the Law Offices of Setareh Mahmoodi, we have served hundreds of clients throughout King and Snohomish counties. We have helped clients in cities such as Bellevue, Kirkland, Bothell, Woodinville and Kenmore form their own very successful businesses and make their dreams come true. Our Kirkland Law Firm has also helped many clients seek debt relief under the bankruptcy code when they struggled with debt or a major event in their lives. Our clients are successful business owners or individuals who have either a traumatic event in their lives such as illness, divorce, or been affected by the economic downturn and needed our assistance in filing for bankruptcy. 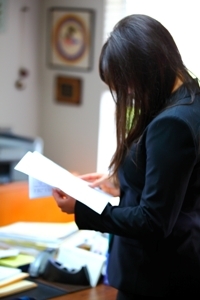 Our Kirkland Bankruptcy Lawyers are here to guide you through this process. Many clients have tax debt or issues that may be addressed in a bankruptcy. We have extensive experience with tax and bankruptcy laws and can competently advise our clients so they can make the best informed decisions. Taking the step towards resolving one’s financial dilemmas by filing bankruptcy is a very brave step but can be emotionally charging. We have helped hundreds of clients file bankruptcy throughout the Seattle area such as Bellevue, Kirkland, Bothell, Woodinville, and Kenmore. We understand that this is a sensitive and difficult matter for our clients and we are here to help and ease the process. When it comes to personal and business taxes many people seem to believe that they can’t be gone forever, and they can’t be discharged in a proper bankruptcy. This is why a great bankruptcy attorney can help. We are thrilled that at SM Law this is not entirely true. While it is true that some taxes cannot be abolished, and special rules do sometimes apply to taxes so they are not like ordinary debts, at least some taxes can be discharged in bankruptcy. That means they disappear forever. Each case is different and each individual’s eligibility for discharge of taxes in a bankruptcy varies based on their case and specifics. That’s why it is crucial to speak to an experienced Kirkland bankruptcy lawyer that is familiar with both tax and bankruptcy laws so you know your options. Feel free to contact our office for a free initial phone consultation at 425-806-1500. You may have heard the estate and probate process can be difficult, but with SM Law it’s actually very simple and inexpensive. It’s an efficient way to settle an estate. In fact, lawyers in Washington do not get paid by percentage of the estate, but rather a flat or hourly, economical fee. As legal adviser to the personal representative of the estate, we provide comprehensive services throughout the entire probate process. Our Estate Lawyers are first class and have your best interest in mind. If your medical bills are currently in collection, and you cannot afford to make payment plans or keep up with the payment plans, it’s best to seek advice from one of our experienced Kirkland attorneys. In some cases, the collection agencies will file collection actions or lawsuits against the debtor and will garnish your paychecks or bank accounts, making it even more difficult for you to keep up with your monthly bills and causing significant stress on you and your loved ones. Don’t let it get to that point, contact our office today so we can evaluate your case and advise you on your options. Considering we are only a short 7 minute drive from Kirkland, WA, we are a local business and law firm that has assisted many Kirkland natives. We pride ourselves in providing valuable and competent legal advice to our clients at a reasonable cost. We provide complimentary phone consultations and offer evening or weekend appointments. 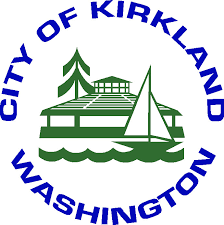 We are very familiar with the city and can offer valuable advice to business owners and individuals seeking to open or establish businesses in Kirkland, WA. We are also able to provide estate planning, bankruptcy, and tax advice to our corporate and individual clients. All of our clients feel a sense of relief and sometimes even joy after just the first meeting to discuss bankruptcy, estate situations, and debt relief options. Bankruptcy laws can be complex and it is important to discuss all of your options with an experienced attorney first. Contact us for a free phone consultation at 425-806-1500 or look us up via social media.